What Does The Future Hold For BMW M Cars? The BMW M brand needs to get back on track. Walk into a BMW dealership today, and you have the choice between either a BMW M6 or an Alpina B6. 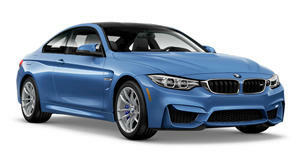 Both include full BMW warranties and service – despite the latter being an outside company. It’s a bizarre and confusing situation, and one that BMW gets asked about a lot according to Motor Trend. “We are repeatedly asked whether M and Alpina are competitors,” says Frank van Meel, president of M GmbH. “We regard Alpina as a strategic partner and a complementation of our portfolio. While M models have a clear orientation toward dynamics, agility, and precision coupled with day-to-day suitability, an Alpina is an automobile for a very specific group of customers. 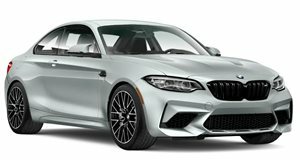 The focus is on exclusiveness, individualization, and long-distance travel comfort.” Ironically, some enthusiasts prefer Alpina’s efforts over BMW’s in-house performance cars, which raises the question on the future direction of the BMW M brand. The M badge used to signify the pinnacle of precision and performance in the BMW roster, but that hasn’t been the case in the lumbering recent models. We’ve seen M cars get bigger, heavier, and more luxurious, but they lack the agility the brand is best known for. There is hope, though – the marvelous M2 is BMW's purest performance car yet, coming close to recapturing the magic of the original M3. BMW seems conscious about getting its reputation for fun, undiluted performance machines back on track. “Any M car has to be track eligible, and it has to do well on the track, especially the Nurburgring Nordschleife,” said BMW North America CEO Ludwig Willish. It’s a trend that will continue with the next-generation M5. 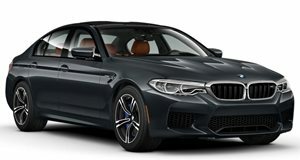 Motor Trend wasn’t allowed to divulge any details, but BMW asserts that there was “no blinking” about achieving the M5’s performance criteria. Whether it can revitalize the brand remains to be seen.